Do you develop universal apps for Windows Phone and Windows8? If yes, you will love our app. 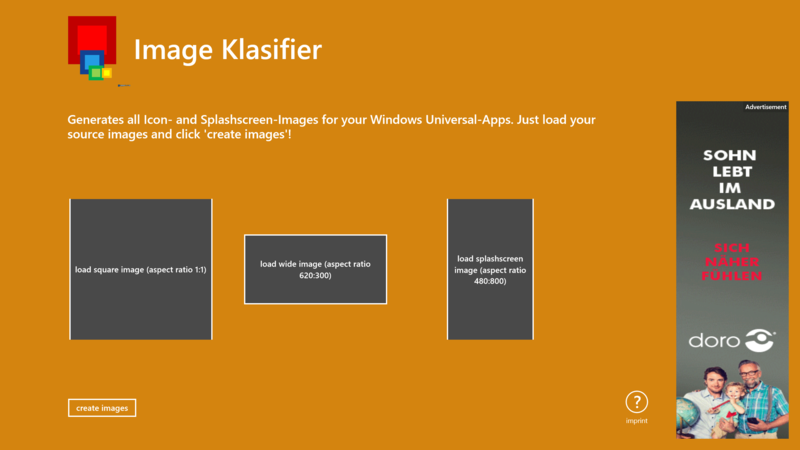 The image klasifier helps you to generate the icons for your universal app. 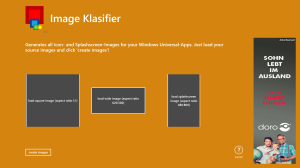 We are a German app agency with a strong focus on the Windows platform and we use several “klasifier” (own developed tools helping to optimize the development, prototyping, upload process and content creation and management process) for developing universal apps in a very efficient way.